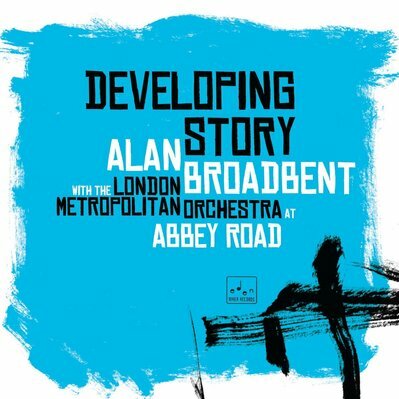 ​Grammy winning pianist and composer, Alan Broadbent has been a most welcome visitor to these shores over the last couple of years, and this year has seen to the release of two wonderful recordings. The first with UK based singer and lyricist, Georgia Mancio on their collaboration, Songbook and in June Alan released Developing Story recorded at the famous Abbey Road studio with the London Metropolitan Orhestra and his trio featuring Harvie S on bass and drummer, Peter Erskine. On a children’s Sunday morning radio show in Auckland, New Zealand, I used to wait for a story called “Sparky’s Magic Piano”. There is a moment when Sparky’s piano (Ray Turner) plays Chopin’s Etude #4 in C# minor, Op. 10. At the age of 8 I knew then that music contained a power and beauty beyond anything I had imagined, something I kept to myself because my parents and schoolmates would not have understood. When I was 14 a friend had tickets to see The Dave Brubeck Qt. in Auckland, New Zealand in 1961. This was the year of “Time Out”. I knew nothing about jazz, but knew my dad’s collection of American standards that were in a pile by the piano. I would sightread them and play exactly what was written on the sheet music. One of these was a favorite because of the melodic intervals over the chords. This was “Tangerine" by Victor Schertzinger. At the concert Paul Desmond came out and leaned against the bell of the the piano and began to play…… Tangerine! I was absolutely stunned. I knew the tune and could follow his improvising clearly, but had know idea that this was possible in music. But beyond that, they were creating a pulse that moved my body along with my musical intellect. I now had to find a way to learn how to play with that feeling, gifted to all of us by Louis Armstrong. In the meantime, I bought the music book of piano transcriptions of Time Out. This was my first experience with jazz chords. I still to this day savor chordal moments in “Strange Meadowlark”. I also found transcriptions by Dave’s brother, Howard, of an album called “Brubeck Plays Brubeck” in two volumes, which I would sightread and play passionately, much to the distress of my parents. Of course, I had no access to the LP, and was a little shocked when I heard it many years later by Dave’s nonchalant way of treating the tunes that I felt so deeply about. Especially his original version of “In Your Own Sweet Way” which had chord substitutions that were mind-blowing to me, nothing like the Miles version which we all play now. Next came the discovery of Charlie Parker and Bud Powell. Bebop always moved me deeply because it had/has a profound relationship to swinging time, a way of bending and stretching the time so different than the older, ornamental styles of playing. Bud taught me that the piano in jazz can be, and should be, a singing instrument. Then I heard Lennie Tristano, both his solo album “The New Tristano”, where he phrases over his own bass lines, and it’s predecessor “Tristano”, where he plays single note phrases over a pre-existing rhythm section. This was an epiphany for me, not only for the beauty of the lines, but their rhythmic relationship to the barline and the chords. This is what he called a life force, different from all other music, and the key to communicating deeply to the sensitively intelligent listener. Little did I know that I would be studying with him only a few years later. Still in NZ, I read about Bill Evans in Downbeat magazine. At that time one could go into a booth and listen to a tune or two of a chosen LP. I selected “Moonbeams” and played the first track, “Re: Person I Knew”, Bill’s anagram of Orrin Keepnews. I was overcome with emotion at the tender age of 16. There was my ideal; that I could be swinging and aspire to great heights of musical beauty. Although I already had a different melodic approach to Bill’s, I reveled in his chords and reharmonizations of tunes that I already knew by heart. Also, this particular track had a time feeling of freedom within the trio, while still maintaining the essential pulse, that was completely new to me. While growing as a musician I always had a profound love of the symphony orchestra. It’s the other half of my musical personality. When at the age of 19 I moved to Boston, I began seriously collecting scores of my favorite composers, all on my bookshelves to this day (and that entire wall of scores is now, of course, on a few gigabytes in my computer! ), Everything of Ravel’s, Debussy, Rachmaninoff, Prokofiev, Stravinsky, Schoenberg; you name it, I bet I have it. On top of that, I had a student season pass to the Boston Symphony where I heard most of these works live by one of the greatest orchestras in the world. But orchestration was difficult for me and my attempts at it were always, evidently and woefully, inadequate. I couldn’t divest myself of the piano and piano technique to hear the orchestra as an instrument in itself. Then, one morning on my way to a studio gig in LA, I turned on the radio. I was 30, and music was playing that seemed to have been written by the very soul itself, music I had heard in my head and heart but was never able to write. It was Gustav Mahler’s 1st Symphony, written 100 years before when he was a younger man than I. The next few years were spent in glorious anticipation of studying every one of his complete works. Because there, on every page, independent of the wondrous melodies and dazzling counterpoint, were self-evident instructions on how to make an orchestra sound, how to make an orchestra connect to one’s heart! (If I had to chose a favorite movement from all of his symphonies, it would be the profoundly beautiful Andante Moderato of his 6th.) After those intense years I was able to return to my other beloved composers with new ears and orchestral insights. I still read their scores wherever I go, on my computer now, and find them a great source of comfort in this world we are all trying to make sense of. Those are the albums that influenced my direction as a young musician. The following five albums (or compilations) would accompany me, along with anything from the above, to my desert island, and need no explanation. I’d just like to add that whenever music is playing that I have no control over, I’m forced to listen to it, whether it’s a beer commercial, a subwoofer, in a supermarket or an airport toilet. Because of my inner musical world, any background music is absolute torture to me. So I have deliberately chosen music that, no matter how many times I hear it, there is something new in it that I have yet to learn. For more information visit Alan's website. Click on the album covers to read our reviews.